Combine all 3 Awasi Lodges over a 10 night trip to get a discount on the total amount of your booking, plus 3 complimentary nights in connecting cities (Santiago, Buenos Aires or Punta Arenas). Not valid between December 20th, 2019 and January 02nd, 2020. *Based on 2019-2020 Season Rates. Combine a stay either at Awasi Atacama or Awasi Patagonia with at least 2 nights at Awasi Iguazú, and get one additional night in Iguazú for free, plus a complimentary night in Buenos Aires , Santiago or Punta Arenas. Valid for stays from April to October 2019. Combine Awasi Atacama and Awasi Patagonia over a 7-night trip to see some of the most extraordinary landscapes of Chile, and get 2 complimentary nights in connecting cities (Santiago or Punta Arenas). Valid for stays from October 2019 until April 2020, except between December 20th 2019 and January 2nd 2020. Book a minimum of three nights at Awasi Iguazu and we will give you an additional one for free. 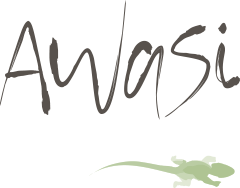 1 complimentary night at Awasi Iguazu. Valid for stays from April through September 2019. Book a minimum of three nights at Awasi Atacama and we will give you an additional one for free. Valid for stays between May and September 2019 and 2020. Book a minimum of four nights at Awasi Patagonia and we will give you an additional one for free. Valid for stays during October 2019 and April 2020.